In the U.S., The Church are best known for their 1988 single “Under The Milky Way.” But, the Australian rock band is better known and respected internationally. Most people will recognize “Milky Way,” but are unaware that The Church have released 26 albums since forming in 1980. The Cure’s Robert Smith handpicked the band to perform at last years Meltdown Festival in London, they were inducted into the Australian Recording Industry Association (ARIA) Hall of Fame in 2010, and “Milky Way” has been covered by everyone from Rick Springfield to Coheed and Cambria to the Killers. The Church likely struggled to find mainstream success in the States due to their own originality. Sometimes called alternative, post-punk, or psychedelic rock, aside from “Milky Way” the band never comfortably fit on college radio or MTV. Perhaps the most mind-boggling comparison the band ever earned was that they weren’t unlike REM. Which is like saying Kenny G and Miles Davis are both jazz musicians. All that said, there’s nothing holding you back from discovering them now. The Church recently kicked off a U.S. tour celebrating the 30th anniversary of their album Starfish (where “Milky Way” first appeared). The band plays Dallas at the Kessler Theater on April 28th and only standing room only tickets remain. Be sure to grab one while you still can at this link. In the meantime, read our interview with Steve Kilbey. We talk songwriting, Starfish, and what you can expect from these anniversary shows. the void report: You’ve described songwriting as your vocation and this is clearly evidenced in your prolific output over nearly 40 years. The Church has 26 albums, you have done 16 solo albums, and you have upwards of 800 songs registered with the Australasian Performing Right Association. As a songwriter, do you have any work routine? Morning versus night? Or do you devote a certain number of hours a day to songwriting? Steve Kilbey: Well, I’ve done it every way there is. Routine. No routine. Usually now if a song wants to be written and is coming on I will take time to write it. Or if I’m working with a co-writer. Anytime though. And anyway it comes, I’m ready. the void report: Your lyrics can sometimes be vague, or open to interpretation, and maybe more “literary” than some of your contemporaries. I am wondering how often you write lyrics without music versus writing vocal melodies and lyrics around music that is already written. Steve Kilbey: Usually, the music always comes first. Only very rarely do I write words with no music. Yeah, the music suggests the words I find. Steve Kilbey: Dylan Thomas, Rimbaud, C.S. Lewis, Baudelaire, Tolkien, religious scripture, Shakespeare, science fiction, fantasy, Homer, The Iliad and Odyssey, Norse mythology, etc. the void report: Reading some recent interviews you’ve done about the recording of the Starfish album, I saw you mention the Exquisite Corpse game in reference to the lyrics of the song “Lost.” Was that a method you used frequently back then? And do you use it at all today? Have you dabbled in other exercises like this, like Brian Eno and Peter Schmidt’s Oblique Strategies? the void report: As far as Starfish is concerned, have you re-discovered any deep cuts that perhaps you neglected over the years and have found some new meaning or pleasure in performing them live? Steve Kilbey: Yeah, I have a new appreciation for “Destination.” It’s a helluva opening song. Steve Kilbey: Yeah, people seem to love all the songs. Not just “Under The Milky Way.” That’s a relief. the void report: The anniversary concert promos state that the album is being played front to back, presumably following the original album sequence. Have you chosen to do it this way because you’re proud of the album song order or because the album tells a story with each song as a chapter? Steve Kilbey: I just think if you’re gonna hear an album in its entirety it ought to be in its original order. Right? the void report: You’ve already done some anniversary concerts for the album, upon revisiting these songs have you found that the lyrics, or songs themselves, take you back to where and who you were when you initially wrote them, or have you found any new meaning? 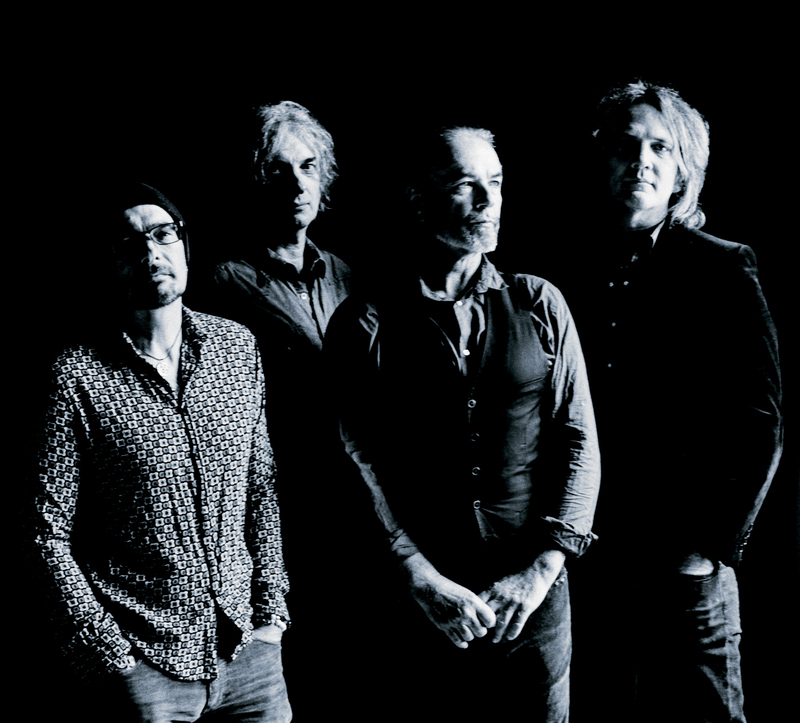 Steve Kilbey: I constantly find new meaning and new memories almost every night. However, they are fleeting and none particularly comes to mind right now. the void report: After doing an initial run of anniversary performances, has the band tinkered with any of the arrangements of the songs to keep them fresh or you still staying faithful to the original recordings? Steve Kilbey: We stay pretty much faithful, but try and add some extra live wallop.